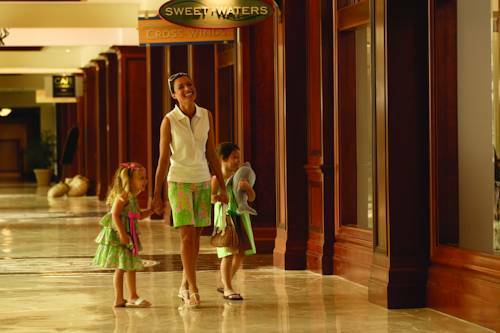 Situated on the shores of the Gulf of Mexico, along three miles of pristine private beach, JW Marriott Marco Island Beach Resort offers the perfect balance of luxury and tranquility. Drawing inspiration from the Balinese culture and its emphasis on the beauty of nature, a recent multimillion-dollar transformation has made our resort even more extraordinary. Relax in luxurious rooms and suites with scenic private balconies or experience Paradise by Sirene, a curated escape exclusively for adults. Explore the resort's 12 dining options including beachside seafood, modern Italian cuisine and more. Tee off from one of two championship golf courses, or rejuvenate your body and spirit at our serene resort Spa by JW. Our expansive and flexible event venues are highlighted by picturesque terraces with awe-inspiring Gulf views. Reap the benefits of Florida's sunny weather by sipping a drink by one of the hotel pools, kayaking or embarking on an exciting wave runner excursion. Discover Paradise Redefined. Ario: Elegant yet relaxed, Ario restaurant offers a menu that is both globally inspired and locally sourced. Sit indoors or outdoors and sample our signature 35-day, dry-aged steak or fresh caught seafood, paired with artisanal cocktails and fine wines. 10K Alley: A combination gastro-pub & state-of-the-art gaming emporium. Sports bar with elevated cuisine, 60 craft beers and barrel-aged bourbons. Bring your A-game to bowling, mini-golf, dozens of gaming and virtual reality experiences. Open only to resort guests. Tesoro: Enjoy panoramic fifth floor views of the Gulf of Mexico from this adult-exclusive restaurant and bar, serving coastal Mediterranean cuisine and seafood, specialty cocktails and rare wines. Maia: There's no better way to begin your morning in Marco Island than with a relaxed breakfast at this casual coastal restaurant. Sample locally sourced dishes from our market-style buffet, featuring omelets, Belgian Waffles, Florida Lobster Benedict and more. Quinn's on the Beach: Enjoy a relaxed meal and breathtaking views at Quinn's on the Beach. Located on the water, this casual American restaurant serves seafood and sandwich specialties, as well as mixed drinks, beer and wine. Quinn's also offers a Fire Dancer Show at sunset. Korals Sushi & Cocktail Lobby Bar: The wonderfully inviting Korals Sushi & Cocktail Lobby Bar showcases views of the Gulf through floor-to-ceiling windows, as well as a towering aquarium full of colorful tropical fish. Linger over sushi, seafood, small plates and creative cocktails. 400 Pazzi's: 400 Pazzi's brings the flavors of Italy here to Marco Island, infusing it with a modern American sensibility. Enjoy everything from delectable pasta and sandwiches to hearth-fired pizza and wine on tap, served in our family-friendly eatery on the water. Kane Tiki Bar & Grill: Cap off your day in Marco Island with your feet in the sand at this tiki bar and grill, which offers Gulf views and live entertainment on some nights. Dine on Indonesian street food, coupled with cocktails or a selection from our extensive rum collection. Cafe San Marco: Caf San Marco is the perfect destination for coffee, tea and light bites. This intimate coffee house offers both indoor and outdoor seating overlooking the resort pool, and is open all day. Treat yourself to a glass of wine and dessert in the evening. Rookery Grill: Located within The Rookery at the Marco Golf Club clubhouse, this laid-back restaurant specializes in tasty American fare including healthy breakfast cuisine, soups, salads and specialty sandwiches with meat from the smoker. Hammock Bay Grill: Take a break from the pool and dine at this cozy poolside restaurant, situated within Hammock Bay Golf Club. Open for breakfast and lunch (and seasonally for dinner), Hammock Bay Grill features American dishes and a range of beverages. Menchie's: Find respite with a frozen yogurt treat from Menchie's, which offers 14 different flavors and a vast selection of toppings. Menchie's also serves gluten-free, vegan and no high fructose corn syrup options. ©2015 - Pres.Multimedia, Inc. -internet results |All rights reserved.